Last week was a great week for sharing among teachers. Microsoft ran their Partners in Learning Global Forum in Prague Czech Republic. They had 500 educators from over 75 countries sharing really innovative ideas. From all reports (I was watching the hash tag on Twitter) it was great. But I’d actually like to talk about something closer to home. An experience by some teachers I know who attended a local New Hampshire education technology conference. Two teachers I know have a great project they do with their middle school students. It is cross curricular and makes real use of technology to make learning better and more interesting. They were given the opportunity to share their project in the exhibit hall of the Christa McAuliffe Technology Conference. This was the first time for both of them sharing at a conference like this and they were a bit nervous about it. As it turns out the teachers, technology coordinators and administrators who came by loved the project. Several of them took cards with a link to more information about the projects. Several also made suggestions of other ways the project could be used. Or additions to the project to make it more effective or just different in a positive way. the comments were positive and reinforced that this was a good project. The suggestions and comments though meant that the project will continue to be improved and strengthened. This seems to happen all the time. When teachers share their projects and ideas with other teachers everyone learns. This is one of the reasons I encourage teachers to blog about what they are doing. One can not only share ideas with others to benefit the community but though conversation in the comments or response blog posts learn from others. one can bounce ideas off of people and sharpen the ideas and knowledge of everyone involved. Of course blogs are not the only way to share. There is a powerful role for presenting at conferences, doing local professional development events, and attending meetings. For CS teachers local CSTA Chapter meetings can be wonderful times of sharing. If you are looking for CS educator blogs there is my CS education blog roll BTW. 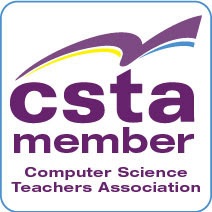 If you are a CS educator and start blogging let me know and I will link to you as well. Jump in – the water is fine. 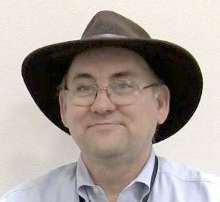 I write about computing as popular science and lately a fair amount on human-computer interaction education.